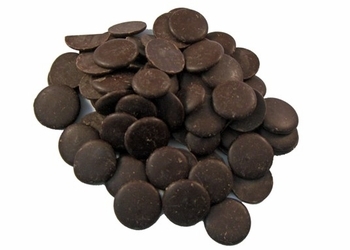 Satisfy your sweet tooth with our "heart healthy" dark chocolate. These little bittersweet wafers of goodness are made of 72% cocoa solids with European-style, low roast chocolate liquor and real vanilla. It is rich and balanced in flavor, not bitter.